Queenstown: bungee jumping, jetboat rides, alpine skiing, mountain bicycling, lake steamers, gondola cable car rides. What did we do? We went to a bird sanctuary to see Kiwis. The kiwi is a nocturnal bird, so there are several places that have set up bird sanctuaries including Kiwi houses, where they trick the birds into thinking that daytime is night time for the tourists (that would be us). There is one over in Christchurch, where we spent our first week here in NZ. However, it is out near the airport, and we did not go there. Here in Queenstown there is one a block away from the Dairy Guesthouse B&B where we are staying, so we went there. For the benefit of our Yank friends, Kiwis are a flightless bird with a long slender beak. Their external nostrils are at the tip of the beak, making it very easy for them to smell their food sources as they search around through the loam, old trees, under rocks, and other places that tasty grubs and insects may be hiding from a hungry Kiwi. There are two Kiwi houses at this sanctuary, and we saw one Kiwi out of the four that live there. We were told this was the male Kiwi, the smaller of the two birds, and he was the size of our chickens back on the ranch. In one house, the pair may be nesting and preparing to lay an egg. Right, one egg, a large one between 20 - 25% of the female’s body mass. The male incubates the egg. Kiwi hatch with feathers, not down, it takes a full 24 hours for their feathers to dry, and the parents do not feed the chick, it must fend for itself. After visiting the Kiwi’s we tramped about the sanctuary to look at other birds. There are quite a few ducks there, and another species of bird (something Spring) which looks like a duck but sounds an acts much like a goose. The females are brown with a white head and neck; the males are irridescent blue-black with blazes of brown spots on their backs, and very aggressive. Fortunately for me (unfortunately for them) I’ve lived around geese and knew how to talk to them in bird body-language. What next exciting thing did we do? 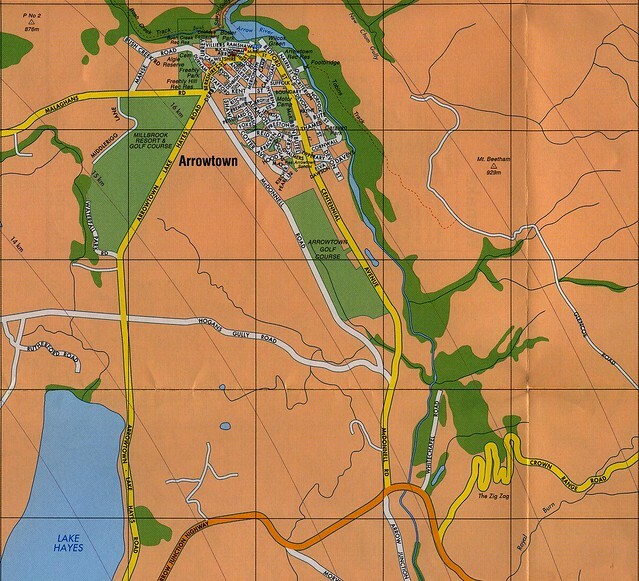 We left Queenstown to drive 22 kilometers to Arrowhead, an old gold mining town. Queenstown is also originally a mining town, and this part of the New Zealand was (and is) gold country. Much of the local history relates to that, and while not wanting to slight our Kiwi friends, it is very similar history to the American gold rushes in California and Colorado. Queenstown, in fact, reminds me very much of areas around Denver. It is not so large a community as that city, but is rather like the smaller ski resorts around there. The evening sky presented a dramatic difference from the day, and many of the locals were hopeful for snow. Loaded luggage partially before breakfast, and completely after breakfast. We also stopped for petrol and food before officially departing town. Took the high road to Arrowtown in order to avoid the construction zone along Highway 6A. 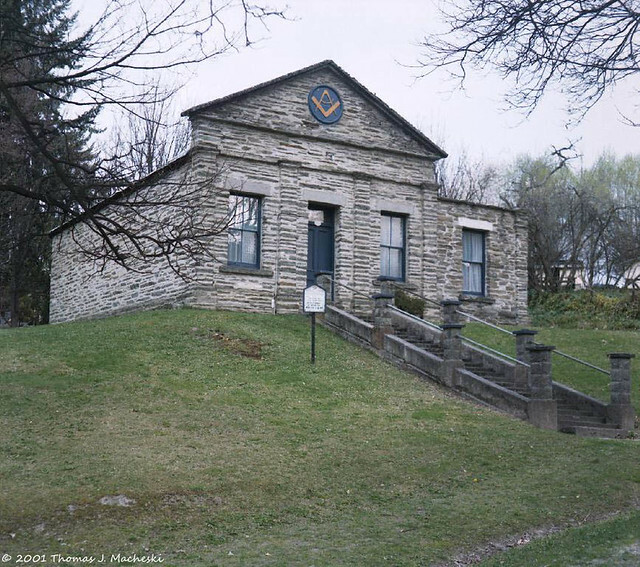 We did a bit of road wandering in Arrowtown to figure out how to continue on the road. 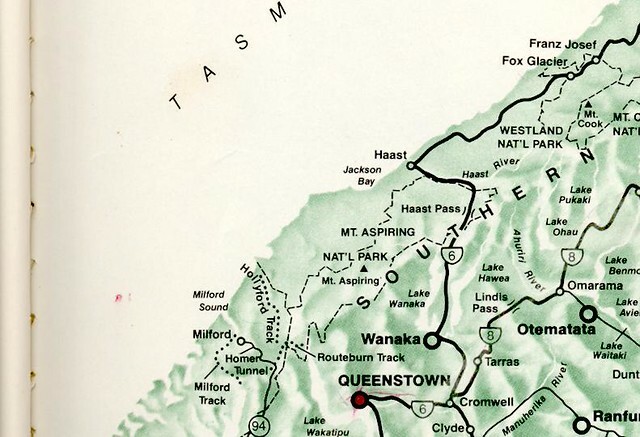 Our goal, to bypass a longer loop by following the Crown Range road to Lake Wanaka. Have I mentioned the two other American couples staying at the Dairy Guesthouse? I think not. One, a lawyer and his wife, the second a book publisher and bible scholar with his wife. They are traveling together through New Zealand, though one couple goes to Australia when the other couple heads home. I helped them a little; the lawyer’s wife cut her toe on some broken glass, and I provided a magnifying glass to look for sliver (there wasn’t one). They presented me with a book, and an inscription. Now I shall feel obligated to read it, but this may not be so odious. Relatively clear skies stayed with us up to Lake Hawea, past Wanaka. We rejoined Highway 6 in Wanaka, and wound around the southern end of Lake Wanaka, to run along the western shoreline of Lake Hawea. We paused for a photo opportunity at the south end of this lake, and again at an overlook. Shortly before the dogleg over to the upper half of Lake Wanaka, it started to rain. 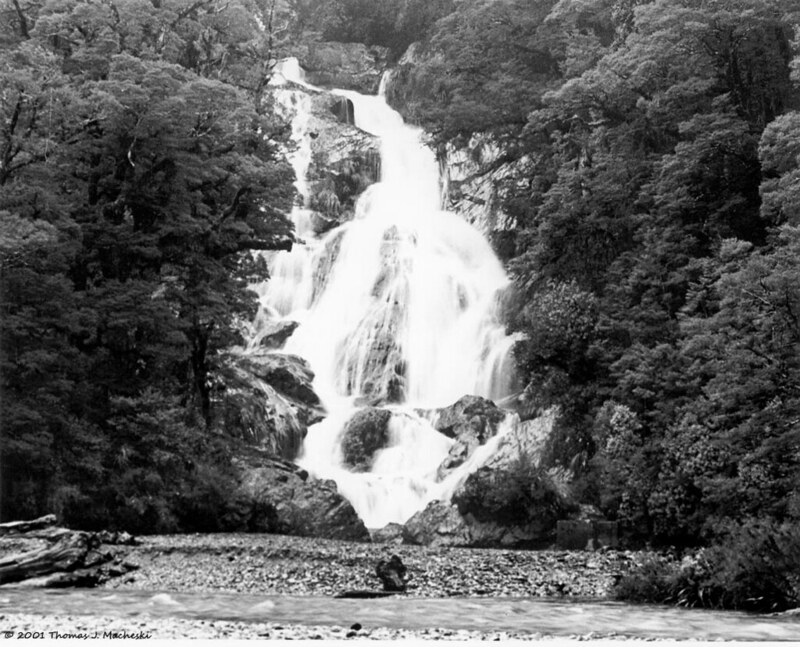 Haast Pass was open, and we carried on; only one pause for photos at Fantail Falls. We emerged from the car covered in our cheap raingear. I brought the tripod with me because the light was so low. Took one photo of the falls, at one-quarter second to get very deep depth of field (f-stop 11 to 16). Then I discovered the film would not advance. With seven frames exposed, the camera is stuck. We are waiting to see if the camera warming up will help, but I suspect I shall have to crack the back to get things working. I am planning on re-rolling the film (it is Agfa B&W) and noting that I need to get the roll up to frame eight before making new images. We shall see. At the acme of Haast Pass, we saw a “Welcome to the West Coast” sign. The West Coast is known for rain forests. We can attest to that. Heavy rain coming down the Haast River valley, getting heavier as we approached the west shore. Herself spotted the Tasman Sea before I did, since I needed to concentrate on the road. I did pull off at a scenic overlook, and dashing between raindrops both visited the loo and made one image of some impressive rocks along the shoreline. That was using Herself’s camera. Mine still objected to weather and temperature. I would say we’ve met one of the famous Nor’westers. Rain heavy enough at times to slow me down to 60 kph. Sheets of rain passing across us when it was light enough to see that well. This rain continued across Jacob’s River (Herself did get a photo of the town sign) all the way into Fox Glacier. We experienced no problem finding the Fox Glacier Hotel. After all it is right on Highway 6. They obviously deal with a lot of rain here. There is a porte coche at the main door and at the junction between the two Sullivan’s Wings. So we could unload the luggage without drenching ourselves. Warming up the room, we walked up to the lobby to check out the requirements for the laundry (we need to do some), Internet access (coin operated, no laptop access), dinner (we have bookings for the dining room buffet; tomorrow we shall get our meals from the bar), and some Bailey’s Irish Cream. Bailey’s and coffee in the room, postponed only by a spectacular sunset. There is (or was) enough gap between the clouds and the earth for the sun to shine at sunset. We could see a marvelous full rainbow across the hills which we see across Highway 6. Herself dashed out with the camera, but the arc was too close to put on film entirely. Still, there should be a few frames there. The clouds cleared sufficiently for us to see snowcaps on neighboring peaks, but closed in again as dark settled. The forecast for tomorrow indicates we shall probably still be under cloud here at Fox Glacier, but we’ll see what God sends us. Meanwhile, tonight’s e-mail will be checking the Worldnet, and possibly the Globalnet if I can. Well, I didn’t get over to the Global Net, but did check the World Net. Four dollars NZ bought me 20 minutes of e-mail time, and the wonderful speed of the connection meant not much mail work. However, I did determine that Herself’s cousin, CD, is OK but busy in the wake of the Twin Towers, that Clyde Kingston forwarded the message that Uncle R sent, and that SW is thinking of us. I also notified the folks at Cosy Kiwi that I will owe them money for a phone call, and the folks at The Dairy Guesthouse that we really enjoyed our stay. God’s sense of humor is showing. Today we have blue skies with some cloud. It’s quite pretty. Oh, and releasing the back of the camera also released the lock-up on the film advance. I need to re-load that roll, which is still sitting in the camera re-wound on the spool. I expect I shall waste frame number eight. Right now, coffee and visit with Herself. I improvised a 'changing bag' (which is a light-tight zippered bag with armholes for loading/unloading unexposed and exposed but unprocessed film) out of one of our heavier jackets, and sat in the bathroom with a towel stuffed under the door to open the back of the Mamiya. This did indeed reset the mechanism, allowing film to advance, and as you'll see in later comments I carried on with that one roll, advancing past the point where the camera locked up. The Old Man still does this periodically, and the fix is still put it into a changing bag, open the back, rewind the film. I've inquired about getting this looked into at a couple of photography equipment shops, and both were reluctant to work on the camera unless it was in the 'locked up' state since it is intermittent. So we stay with the Fix for now. I've contemplated purchasing a replacement camera body (often available on e-Bay or in used camera forums). We'll see. It's a measure of shifted priorities, I suppose, that I've not thought much about this since '05 and acquiring a DSLR. The times I've shot film since then, the Old Man didn't act up. The laundry in the hotel used tokens, purchased at the desk. We got our laundry done, and repacked. Dinner, as mentioned, the first night was in the Dining Room, and the second evening at the Pub which is also part of the hotel. Frankly... at least in '01 the food was better in the pub. Not that dinner the first night was bad. Just, better in the pub. The pub here is also where I inquired about signs I'd seen in several other establishments throughout South Island that serve alcohol. First of all, for 'Spirits' the message usually was 'Unless otherwise specified all Spirits are a double'. So, if one ordered a single-malt scotch, say, it would be a double. So was the Baileys we got the first evening. Second of all, there was always a sign saying they could not serve you if obviously intoxicated, so drink responsibly. I inquired on this occasion about this and learned that the NZ drunk driving laws are significantly different from the US laws. Now, part of this is the law is national, not State. On the other hand, a first offense DUI, no property damage (i.e. no motor vehicle crash), could result in a suspended license along with other penalties. If the DUI involved a motor vehicle crash, property damage but no personal injury, I understood that the penalties in that instance started with a suspended license. Closer to home and time, ran into a problem yesterday with my monitor, just under two years old. It is shutting itself off. I can feel some heat behind the monitor above the vents when this happens, nothing intense. Leaving things powered down for a couple minutes helps, yet in a few minutes the monitor will shut itself off again. So, probably looking into a new monitor. Bah. Of course this happens while I'm wrapping up on photographs for an art show. Borrowed Herself's monitor. Figure to get those photos done today, ready to go. Then... we'll see. This entry was originally posted at http://madshutterbug.dreamwidth.org/126286.html. 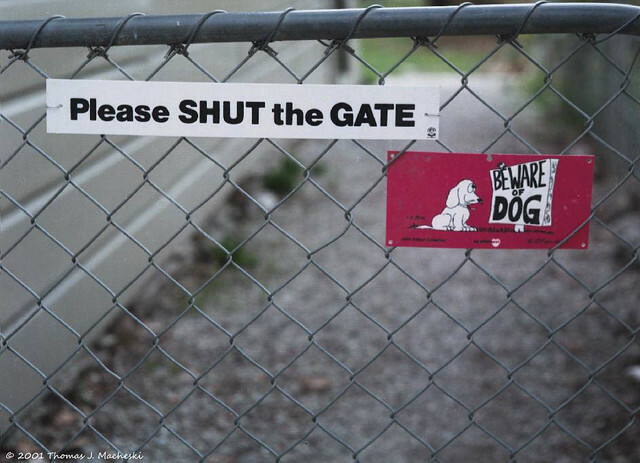 Please comment there using OpenID.